Around August of 2000 I found out I was pregnant. I wasn’t happy or excited about it. The birth of my daughter in 1999 was complicated by a diagnosis of vasa previa, a life threatening situation for myself and her. She was delivered at 36 weeks after I spent the last trimester on bedrest. She wasn’t ready to breathe on her own yet and had to be ventilated for a few hours. She remained in NICU for two weeks. We soon began to notice she wasn’t meeting her developmental milestones and we enlisted the services of Early Intervention. She still was not walking when I got the positive pregnancy test, and did not take her first steps until I was about seven months pregnant. We attended a church with lots of homeschoolers and big families. It was hard to admit to anyone my sadness and sense of being overwhelmed. The few people I did try to share with my feelings with brushed them off with “I should be happy.” I was scared. I never planned on four kids and wondered how I was going to do it. My pregnancy proceeded uneventfully until it was time for the routine 20 week ultrasound. The technician got that deadpan expression, left the room and brought back someone with her to look at it. They told me on the spot there were several markers for Down Syndrome and a possible heart defect. I was sent for a level 2 ultrasound. Nothing was found. I was then sent for a fetal echo. Nothing was found. My OB badgered me at every visit to get an amnio. Knowing it was not a risk free procedure, I refused. I spent the rest of the pregnancy praying that God would not do “that” to us. A few weeks before delivery a friend complained to me about her cleaning lady always bringing her “retarded” sister with her when she cleaned her house. That word rang in my ears for weeks, including on the way down to the hospital for my planned c-section. My son Nicolas was born May 16, 2001. His almond shaped eyes were very obvious. The OR was deadly silent and strained. He promptly turned navy blue and was rushed to NICU. Nobody in OR was saying a word. It was like I gave birth to an “it.” There were no welcoming baskets or kind words. The neonatologist referred to him as a “Down Syndrome situation.” When I visited him in NICU his fingers and toes were still blue. The following morning a pediatric cardiologist appeared in my room and explained the nature of his heart defect to me. AV Canal – the simplest way to explain is that it was a giant hole in the middle of his heart. (Read more about Heart Defects and Down syndrome here.) I would have to bring him down to cardiology weekly for them to follow him. I was reeling. I had three kids 9 and under who were homeschooled. I had no family in the area to help. The shock of the heart defect dwarfed the shock of the Down Syndrome diagnosis. I was having trouble bonding. I am sharing this honestly because I know other parents have gone through this and I want to let them know that these feelings are normal and will change in time. I wondered what kind of future he would have. I thought my life was over. It was extremely stressful trying to feed him and care for him. The cardiac problem made feeding him very difficult as he was breathing so fast. He never got above his birth weight. About three weeks later Nicolas went into heart failure and Lasix was prescribed. By July I wasn’t leaving the house and was completely overwhelmed with trying to feed him. I broke down, called the hospital and told them I just couldn’t do it any more. He was admitted to the Cardiac Critical Unit that day. I remember staring at that sign for a very long time. 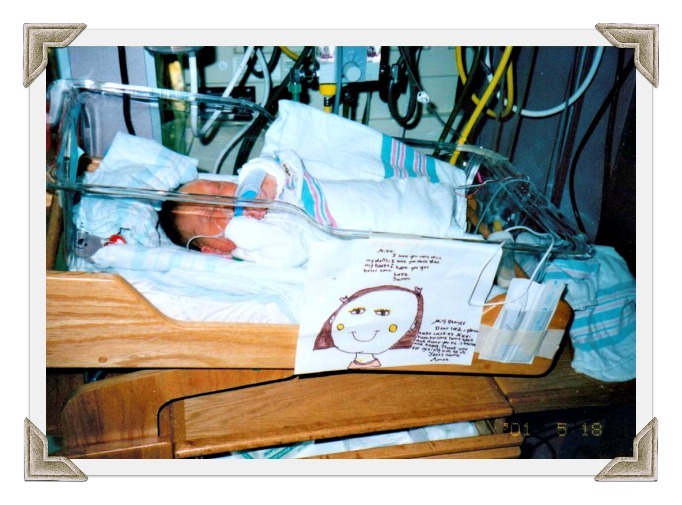 He stayed at the hospital for several weeks until his open heart surgery on August 2, 2001. I felt horrible for not being able to be there around the clock as I had three young children at home but I was comforted that he was greatly loved by the nurses who took care of him. His surgery went well and I had in home nursing for about six weeks after he came home. During this time I got on the Internet and saw many pictures of beautiful children who had Down Syndrome. I began to see their humanity and the joy they brought to their families. 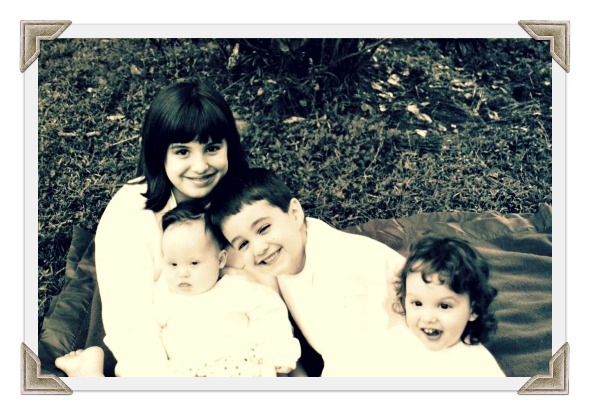 Initially a reluctant mom, I became transformed into a fierce advocate. At the time of this writing, Nicolas was 12. His heart checks were uneventful for years but suddenly in 2011 he began experiencing seizures that were cardiac in origin. When we got him to the cardiologist his heart rate was down to 25 beats per minute and we were sent directly to All Children’s Hospital in St. Petersburg for a pacemaker. It was standing room only, three cardiologists and several nurses in his room when we got there. I was also recently diagnosed with cervical dystonia and still struggling with pain management. “How much, Lord…” I frequently wondered. We’ve had our joys and our challenges. I wanted to be “Down Syndrome supermom” but with so many other medical challenges with my other kids and myself it has been hard to do everything I wanted to. Nicolas isn’t where I had hoped he would be academically, but he is always learning and growing. He has a smile that lights up a room and he is always a favorite at school, church and camp. He speaks pretty well and can be quite the wise guy. He is wickedly funny and is often the subject of my Facebook updates. He’s also as stubborn as hell. Yet our society consistently downplays the contributions these beautiful souls can make. Inclusion in schools and churches continues to be a battle. Invitations are few and far between. It can take years to get the supports and services needed. Horrible Down Syndrome jokes and “retard” slurs still abound on the internet. Jobs and the question of who will look out for them when we are gone weigh heavily on our minds. This journey hasn’t been an easy one but we wouldn’t have missed it for the world. In May of last year I had my hair, nails and feet all done at the same time. For the first time in 29 years. And I felt GUILTY about it. Guilty about being selfish, wasting money, feeling frivolous, feeling like I was the only mom at the homeschool group with her nails done. But the truth is I needed the mental lift. After months of distressing GI symptoms which led to my ulcerative colitis diagnosis and subsequent messy ER visit, I needed to feel pretty again. Months of focusing on crap and GI bleeding can do that to you! Because I knew that things waere going to be crazy with end of the year & graduation activities, I had them done one more time, inwardly wincing at the expense. I’m glad I did it. I can’t justify the ongoing expense all the time, but I’ll definitely do it again when I can! Sometimes as women we just need to do things like this for ourselves. 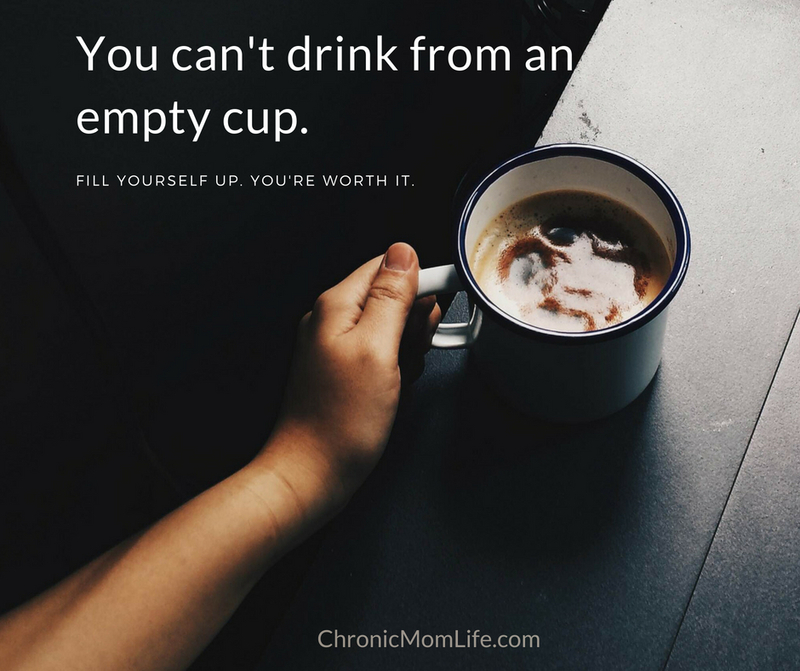 It isn’t selfish to fill your own cup first. This is what practicing self care looks for me right now. 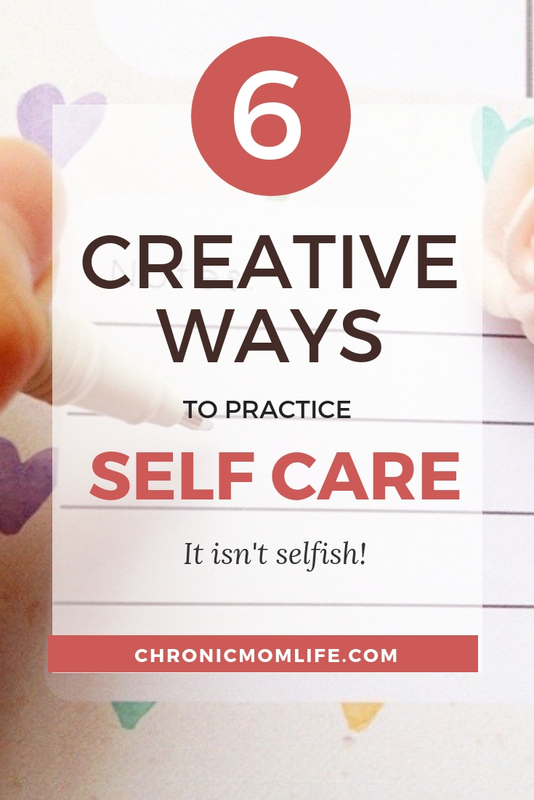 Use it as a jumping off point for your own self care practice. Daily Bible Reading – I’ve been a Christian since 1988 and still have not read the Bible all the way through. I’m using a plan from YouVersion and have committed to reading it through. I did stumble a bit during the past month (I was in Leviticus…) but picked it back up again. I’m going through some life transitions and uncertainties right now and need to keep my focus on God. Daily Movement – I alternate between yoga and gentle cardio workouts. Because of my condition, I can’t do anything like bootcamp workouts, CrossFit or get to a gym. Much as I’d like a “ripped” look it isn’t realistic right now for where I am. And that’s going to have to be okay. Self care means if I need a day of restorative movement or even just stretches in bed, so be it. Daily Creativity – Back in the olden days before motherhood, the Internet and All The Things, I loved to lose myself in art. I lost track of that part of myself and am trying to pick it up again, even if it’s just coloring at the end of the day. I think I’ve become so used to communicating electronically that I’ve lost sight of the sensory peace that comes with doing something tactile. Daily Mindfulness – I really love the Calm app and use it every day. Sometimes for the 10 minute meditation and sometimes for body scans. If I have trouble sleeping, I listen to one of the sleep stories and have no trouble falling asleep again. Practicing the pause and keeping my head where my feet are is an essential way for me to stay focused and reduce stress. Daily Nutrition – Following my diagnosis, I went on the SCD Diet, a grain free protocol for people with autoimmune, IBD and other disorders. I’m a NYC foodie at heart and this has been tough. I stayed on it for a month and then fell away for a few days, causing my symptoms to flare again. I’d really like to keep my colon if I can so I printed out some SCD meal plans that I had and started following them. 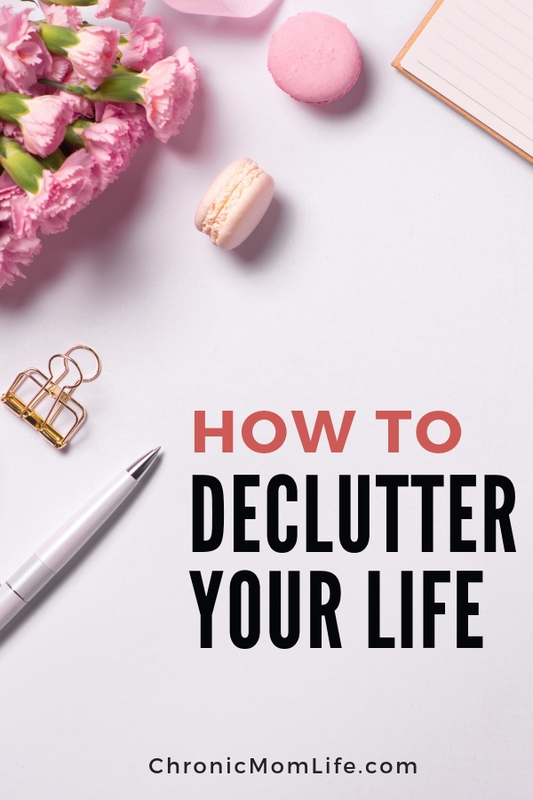 Daily Decluttering – All the stuff around me causes stress. We have two decades worth of stuff that we’re still weeding out. Going forward I want to live as minimally and simplistically as my crazy life will allow. 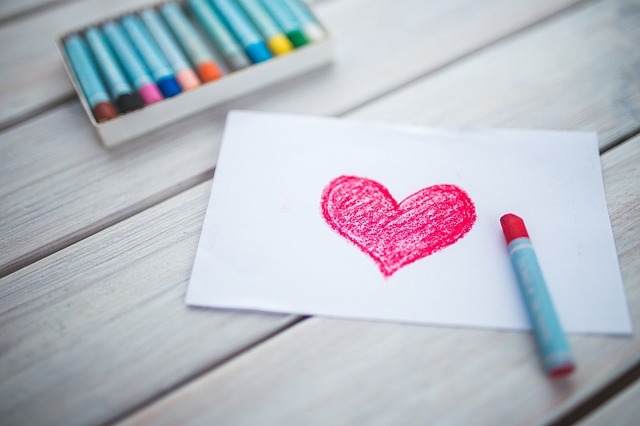 Begin a gratitude practice. This doesn’t have to be complicated. Before you go to bed at night count down 10 things that you’re grateful for. It can be completely basic, like having a roof over your head and enough to eat. 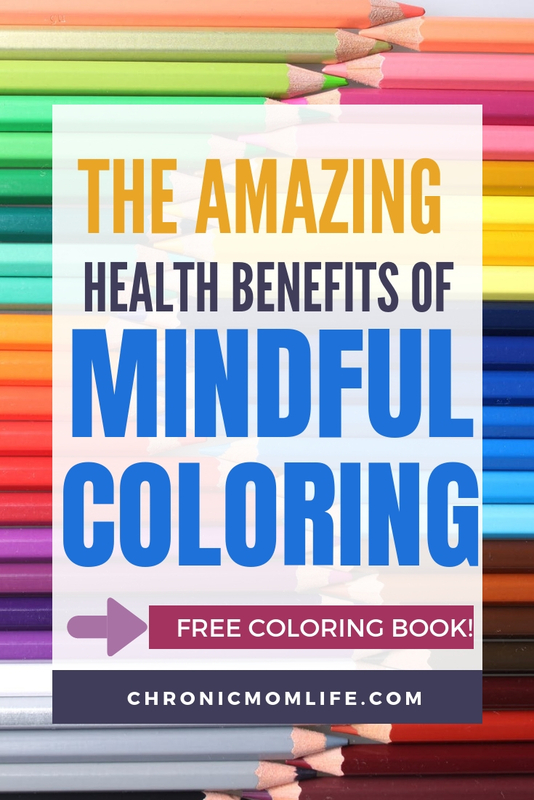 Practiced on a regular basis, this will help to transform your mindset. Enjoy the little things. No matter where you are, be fully present. The magic is there, you just have to calm the mental noise down. Maybe it’s listening to your child laugh, hugging your dog, getting outside to watch the sun go down. Having a date night with your partner. Take 5 minutes out. When life gets overwhelming, step away from it. Simply focus on your breath for a few minutes, then grab a big cup of ice water and see if you don’t feel better. I just gave you a few examples of how I’m going to fill my cup going forward. 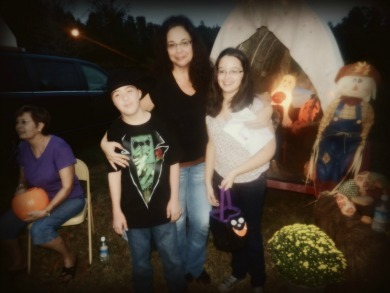 I’m a special needs mom with chronic illness, and a sober one at that. Self care is absolutely critical for me so that I don’t succumb to depression and anxiety. Your idea of filling your cup may look completely than mine. So if you’re able to get to a spa or a massage, then go for it! Maybe for you, spiritual reading looks like 12 step literature, or following your favorite author on Facebook. Or maybe you can handle those hard workouts. 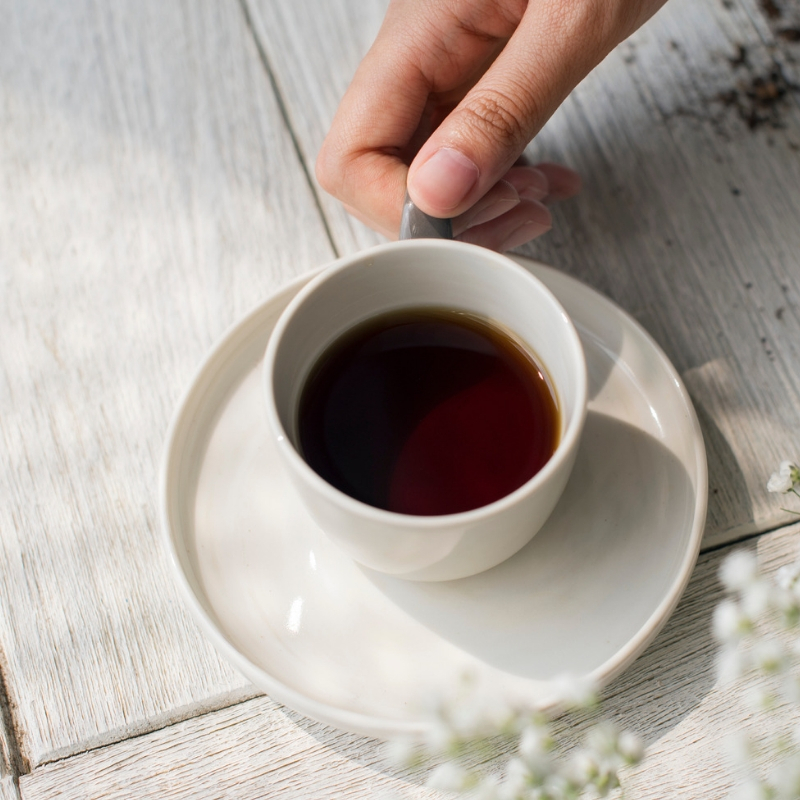 Do some quiet inventory and determine what you need to fill your cup. It doesn’t have to look like mine or anybody else’s. Find what works for you. Just remember this…self care isn’t selfish. Take care of yourself. It’s okay and very necessary to fill your cup so you can be the person you want to be for your family, friends and community. On January 5, 1986 I had an epiphany. I decided to quit playing around and emptied the last of my beer down the drain to see if getting sober and this twelve step thing was going to work for me or not. I lived in dirty, gritty old NYC back then. With very limited funds and no family support, all I could do was go to as many meetings as I could. That first year was rough as I learned to navigate a new life away from bars and clubs. I really don’t know where I’d be now without that initial support now. In Manhattan & Brooklyn, it was easy enough to get to 2 or 3 meetings a day, even though I worked. And then there were the meetings after the meetings – usually in the neighborhood diners – and the sober clubs that were just as important as the meetings themselves. I moved to Florida in 1994. It’s never really been the same here. Being a busy homeschooling & special needs mom with chronic health concerns there just wasn’t a lot of extra time or energy to drive 20 miles to get to a meeting at the end of the day. 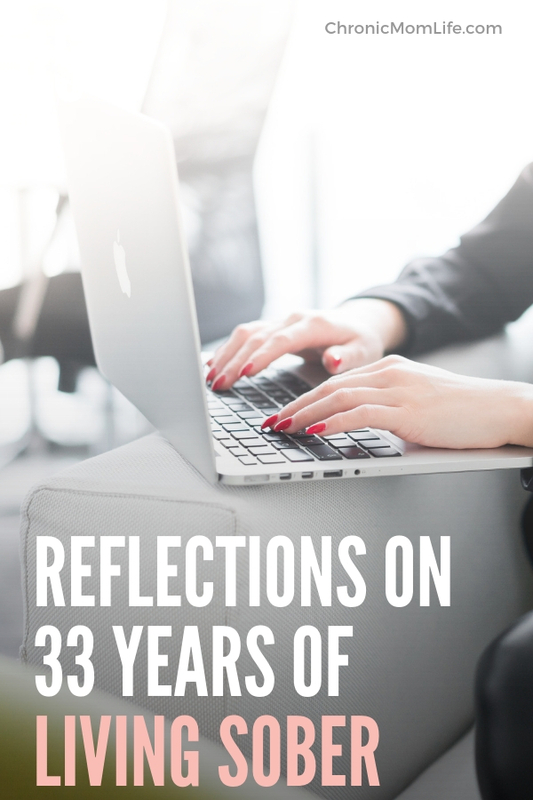 For the past two decades I was focused on raising my kids and homeschooling. It’s been a mixed bag. I did it with the best of intentions & don’t regret it, but it became toxic to me over the years. I grew tired of the politics, lack of inclusiveness to the special needs kids and the rigid theological positions on issues I considered grey areas and not essentials. I always felt like I was hiding “the real me” away. Trying to act like a good Christian and fit with the evangelical crowd didn’t work too well for me. With so much old baggage to deal with, not having a safe space to talk was one of the worst things I could have done. I feel like I need to refocus now and continue the healing work. I want to find my spiritual roots again….the gospel of grace that got lost for me in a sea of good intentions that went sour. I’m really happy to see the online recovery community taking off. The time is right for this and for women in long term recovery to come out of the closet to carry the message that no, Mommy doesn’t need wine to survive it all. It’s very doable and dare I say even joyful to live alcohol free. Many of us need (in my case, have needed!) an alternative to rigid 12 step dogma. We may have life circumstances that prevent us from maintaining a presence in the rooms like we once did but that doesn’t mean we’re headed for relapse as long as we continue the necessary spiritual work. Going back to NYC a few years ago reminded me of where I came from and what I’ve overcome. I was reminded that even in the worst of times, God always had my back. But I still struggle with a few things. Depression, it’s always crouched at the door and it’s still a daily decision not to feed the bad wolf. I’ve been a sober mom and that is enough. It’s still one day at a time. With meetings so spread out here and my complicated life it’s always to be hard to find local support. I’m holding on to the hope that I’ll find my tribe in this new season of life. 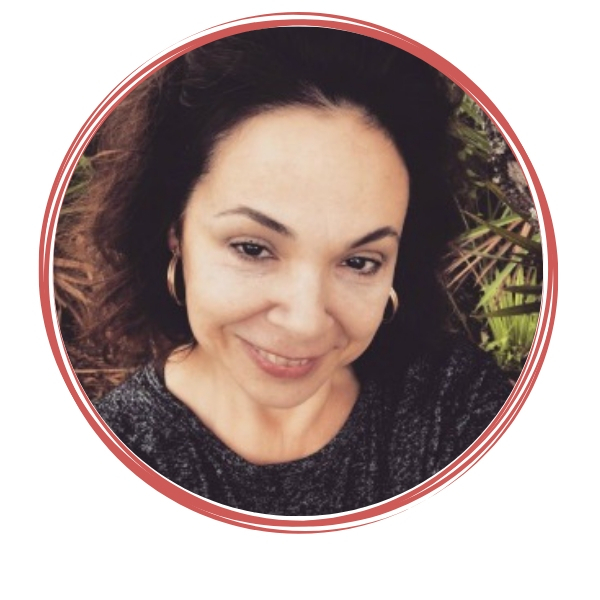 Much love and warm thanks to the communities of She Recovers, Sober Mommies, Lara Frazier and Sober Señorita for helping me to revisit my earlier years in sobriety and to do some very necessary healing work. This was my first Christmas holiday since my ulcerative colitis diagnosis in March of 2018. I’m following a strict grain free protocol, so many of the traditional foods that I’ve enjoyed for decades were completely off limits. Sometimes it got to me, but I would remind myself of the importance of what I was doing in hopes of minimizing the need for heavier drugs and to keep on being positive. A couple of nights before Christmas we went to a local Christmas stroll. We’ve been attending this event on and off for around 15 years. While I was there, I reflected on last year’s walk, which was when my first IBD symptoms began. And 2010, the year of my cervical dystonia when I did the walk through blinding pain but I was determined to be there. The only problem I had this year was constantly having to constantly pull up my yoga pants which kept trying to slide down. I congratulated myself on being able to enjoy the walk with no symptoms flaring…until I got home. As I took off my coat I felt a pain down my arm. Within a couple of hours, it was down past my elbow and I had trouble maneuvering myself into bed. With the timing of the weekend before Christmas, I knew I wouldn’t get into the doctor right away so I consulted Dr. Google which seemed to confirm what I suspected…something to do with the rotator cuff, either an impingement or a tear. I couldn’t believe it. I had to hand off kitchen and wrapping responsibilities to my husband. Had to miss Christmas services because I could barely move my arm. The moral of the story? By keeping things simple, I didn’t set myself up for a letdown when things happened. I’d been very intentional about meditating on Advent this year and continuing my yoga practice. Cooking and baking were kept to a minimum anyway with my restrictions. With only one child still in school, the end of the year events have slowed down. 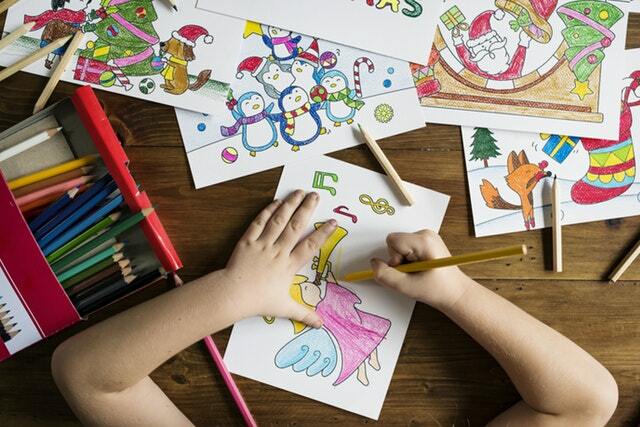 It’s been a simple holiday season without the stress, without going crazy with decorations, events, and gifts. 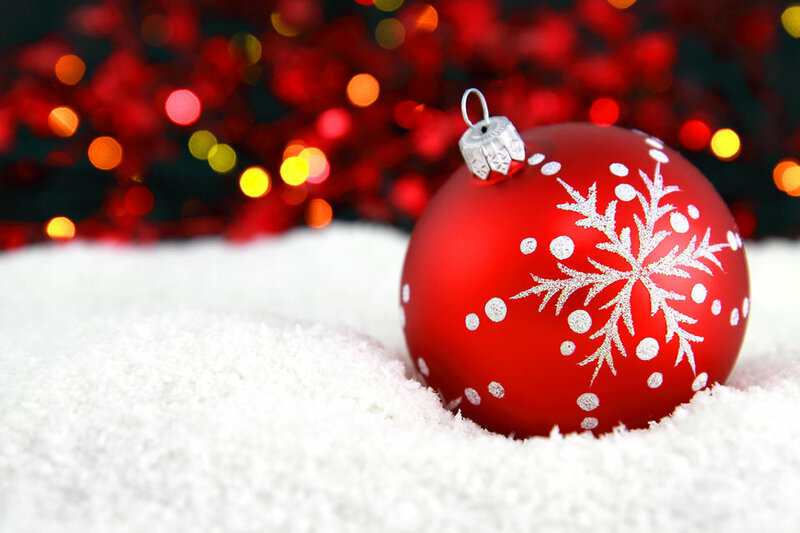 By scaling back and focusing on the more spiritual side of this holiday, I found joy in the season and didn’t have too much depression as I’m prone to. Was it a perfect Christmas? No. I got a little down watching my family get dressed and go to church (I insisted they go!) But when it came down to it, I simply used my down time to offer thanks to God for his provision and to pray for families who were going through tough times. And that’s reality. Some Christmas seasons will be more challenging than others. Maybe there’s another diagnosis. Maybe there was a death in the family. Maybe you lost your job right before Christmas. Maybe the car broke down at the most inopportune time. Life happens to all of us and while there are thousands of things that could happen that could potentially ruin Christmas, how you react to any of them is up to you. Some years, you simply make the best of things and move forward. 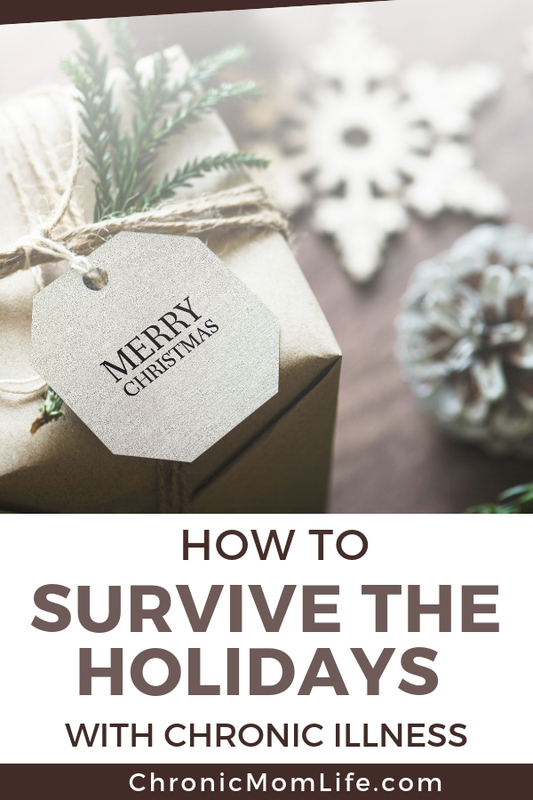 Here’s a few posts from some other chronic illness bloggers who share tips on surviving the holidays with a chronic illness. 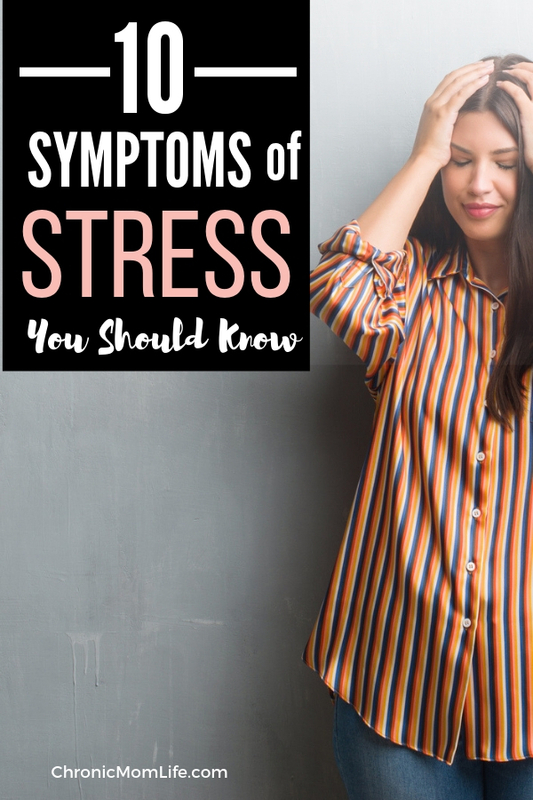 Tom Seaman (who shares my dystonia diagnosis) offers helpful stress management tips for chronic illness warriors. Despite the business of the holidays, we’ve got to make time to attend to body, mind and spirit. Elizabeth Sirrell at Despite Pain writes movingly about trying to continue to enjoy life despite living with chronic pain. If you are feeling a little melancholy…….you are not alone. I will have a lovely Christmas but it will not necessarily be a season of constant joy. It will have moments of delight, moments of extreme fatigue, moments of excruciating pain and then moments of relaxation and rest. 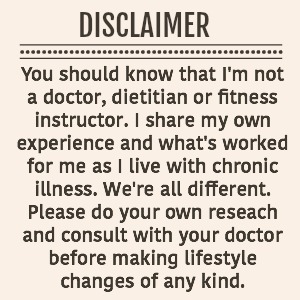 This is the reality for those of us with chronic illness. Merry Christmas & Happy Holidays to all my readers! 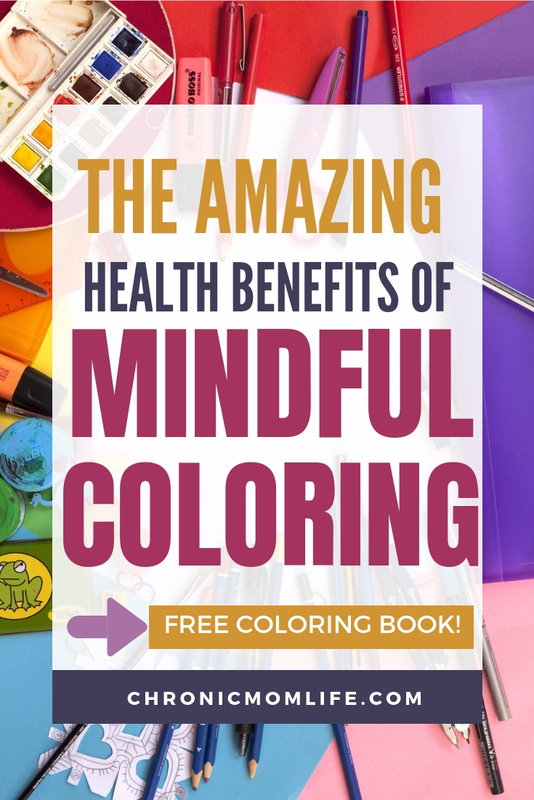 Using a daily wellness planner can be a huge mental health boost. 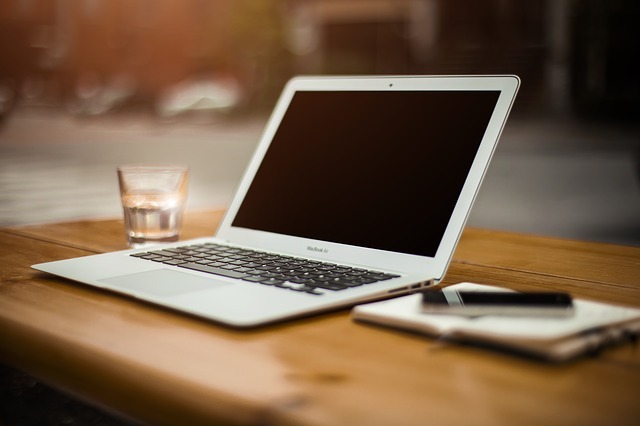 First, it can help you to stay organized in your personal and professional life. Having a place to write down to do lists and other things that you’re tracking is a big stress reducer. 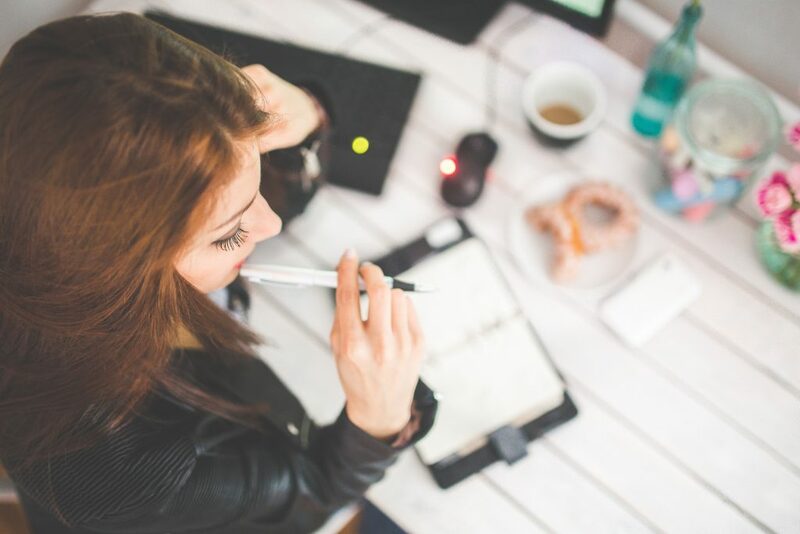 Wellness planners can also be very useful for women with chronic illness who have even more things to keep track of like lab work and other test results, tracking symptoms, food intake, bowel movements, specialists, bills and prescriptions. Even with all I have going on, I’ve never gotten myself organized like I should. And not only that, I’m a special needs mom. My youngest son has Down Syndrome and is a heart patient. 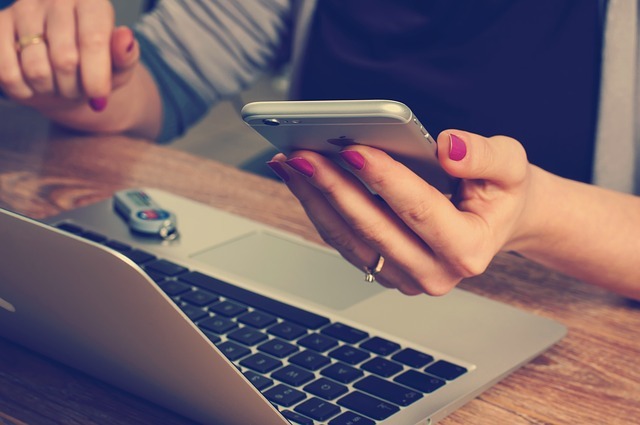 There is LOTS to keep track of and we all know how important it is to document everything. And as I get older, I know I can’t rely on memory for everything! 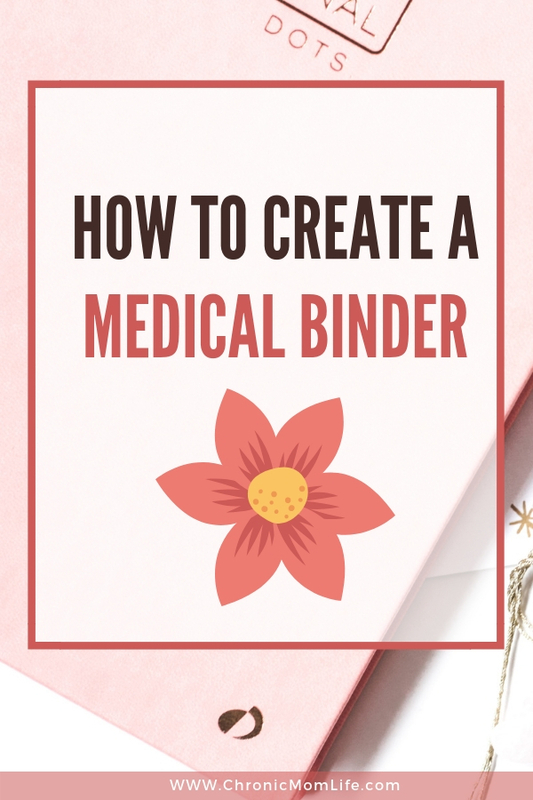 I was excited to have the opportunity to review The Chronic Illness Healing Binder. Its purpose is to help you organize your medical information and track your treatment and healing process. But even more than that, this combination medical binder and wellness planner will help you feel like you’re back in control of your life. 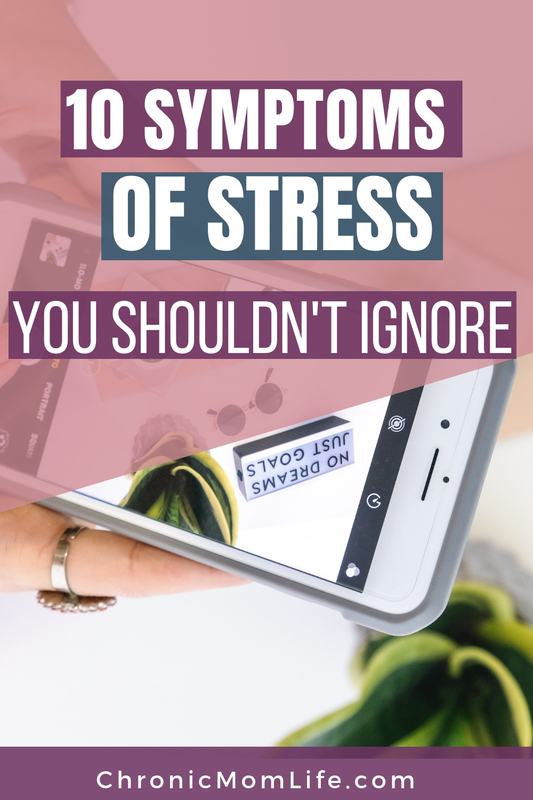 If you suffer from brain fog like I do, you’ll love having all of your information available at your finger tips without stressing yourself trying to remember all the lab results and procedures you’ve had over the years. The Chronic Illness Healing Binder is designed so that you can create your own binder devoted exclusively to your health. Just print it out, punch holes in it and place it in your binder. For me, I’m using a classic sized Happy Planner this year for my health management and tracking so my plan is to print these out slightly reduced, maybe at 75% so that I can put them in the Happy Planner and have everything I need in one place. If you use a big Happy Planner, just use a punch to put these in your planner. I’m really looking forward to FINALLY getting my organizational act together in 2019. Having everything organized and in one place is an enormous time and stress saver. Health isn’t just about your physical health, but mental and emotional health as well. 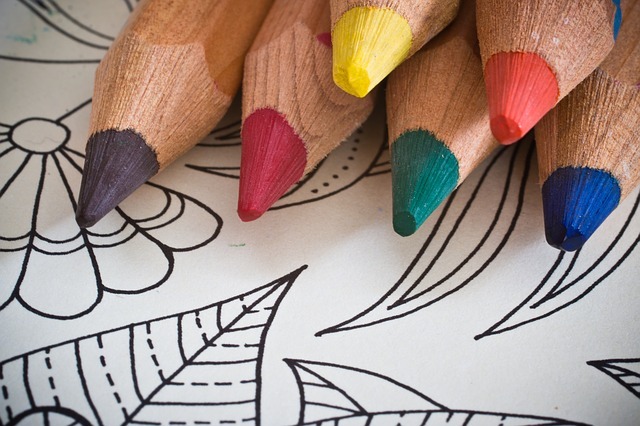 Planners offer many mental health benefits, from reducing stress to diminishing anxiety. As you get organized with important information organized and planned out, you’ll feel so much better and have more time for your own self care. With over 50 pages, worksheets, charts, and records, you will have everything you need for a sure-fire way to gain control over all your documents, lab results, doctor instructions, family history, genetic testing and a whole lot more! 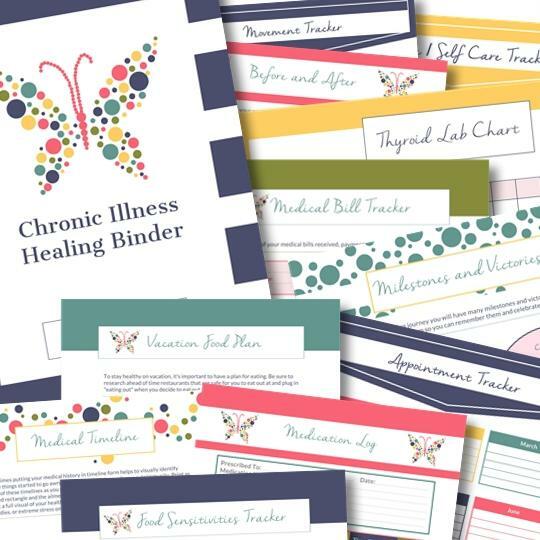 Whether it’s for you or a family member, I highly recommend that you give the Chronic Illness Healing Binder a good look! It was just about a year ago – November 2017 – that I noticed a nagging pain in my lower right side when I was doing yoga. I have a long history of pelvic pain and adhesions so I tried not to think too much about it but I had a gut feeling (see what I did there!) that something was very wrong. The holiday season was under way and I didn’t have time for this so I swept it under the rug. A few weeks later while walking a Christmas stroll with my daughter I was almost doubled over with horrible GI pain. The buildings on the route were old and none of them had an open bathroom. I was a little panicked but I finally found a restroom. It turned out be “only” gas. The pain and inflammation were picking up and I couldn’t even lay on my side. It was making yoga miserable. I called the gastro and made an appointment for January. I’ve had a long history of IBS and urgency but prior colonoscopies didn’t pick up anything. I was used to the urgency to poop hitting me about 10 or 15 minutes after I entered a store and walking around, and always thought that was just my normal. I got a referral for a colonoscopy, and being me, I procrastinated about it until March. The weekend before the procedure I took my kids out. We had amazing NY pizza. I was thinking about how great it was that we finally had good pizza in Florida and how good life was. I didn’t know that was going to be the last time I had pizza. The big day arrived. When I woke up, the gastro told me that I had ulcerative colitis. 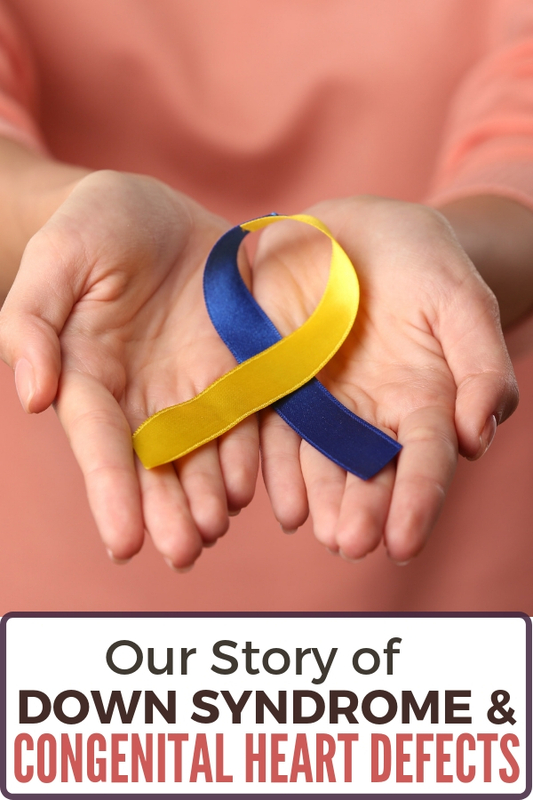 I started out with a bang – it was pancolitis, meaning the ENTIRE colon was affected and it was, in fact “oozing.” We left and stopped to get something to eat on the way home. While we were at the table I started getting really nauseous and then I passed out cold in front of my husband. When I woke up I heard him crying and the paramedics were around me. I got whisked to our local ER where I spent a good portion of the day. I could barely stand up and needed help to get to the bathroom. When I finally was able to get there, I discovered that I had soiled myself while I had passed out. The prep didn’t go too well for some reason. I didn’t have clean clothes to change into except for the hospital gown. That was my entry into the world of IBD at age 55. I was pretty stunned at this turn of events but jumped into action right away. As a special needs mom I was familiar with GAPS, SCD and grain free diets so I sourced some things and changed my diet immediately. Initially I had to take prednisone for a couple of weeks, then tried balsalazide for awhile. To my distress, the incontinence was an ongoing problem so I stopped it. After a few months I switched to 100% SCD and tried not to take any more meds for a few months but after distressing, labor like pains and continual bleeding it was very apparent that I still needed to be on them. I had a sample of Apriso from the doctor and that plus the SCD diet seems to have greatly reduced my symptoms. After the diagnosis, I think I jumped into everything so fast that it took me months to really start to notice the effects on my mental health. I really like to think I’m a badass but I was scared. I already had a neurological condition called cervical dystonia, (read more here) I was a special needs mom and now this? I didn’t know what I was going to do when I had to take my 17 yo son (who has Down syndrome) out and the urgency hit. He can be pretty stubborn and is beginning to balk at coming into the woman’s bathroom with me, though I do try to find family bathrooms as much as possible. I could just see myself having an accident while caregiving because I obviously I have to tend to his safety first. Life changed on a dime for me like it has for so many others. With the risk of accidents and other unpredictable and at times noisy GI symptoms, it seems easier to just not leave the house. When I go out shopping, I always have to case where I am so that I know where the bathroom hits. From the time I feel that first cramp, I have maybe 5 minutes to find a bathroom. And if I have my stubborn son with me, that’s pretty challenging. I’ve read a lot of personal stories from others with IBD. The surgeries scare me. My kids need me, who will take care of them if I wind up in the hospital for extensive surgery? After my second ER visit this year my son said he was worried about me. It broke my heart. The stomach pains are awful. The depression is unpredictable and hits me hard. I’m sure anyone who knows me well can tell when it happens because the light just goes out of my eyes. My first Thanksgiving just passed. I made some grain free sides for myself but they just didn’t taste the same. The reality of the Christmas season without the traditional foods that I loved started to get overwhelming. Many people who have IBD are in a dark place. It’s an overwhelming set of circumstances and mental health help is NOT offered by medical professionals. Likewise, people in recovery struggle with some form of depression and anxiety. Getting a life altering diagnosis like IBD is traumatic and mind blowing. I’m really grateful to be sober and don’t miss my old life at all. But I do struggle with all that’s on my plate. The longer you stay sober the more things you find that you’re powerless over. To that end, I’ve developed a self care tool box over the years that serves me well since I can’t get to a lot of meetings because of my health issues and family responsibilities. 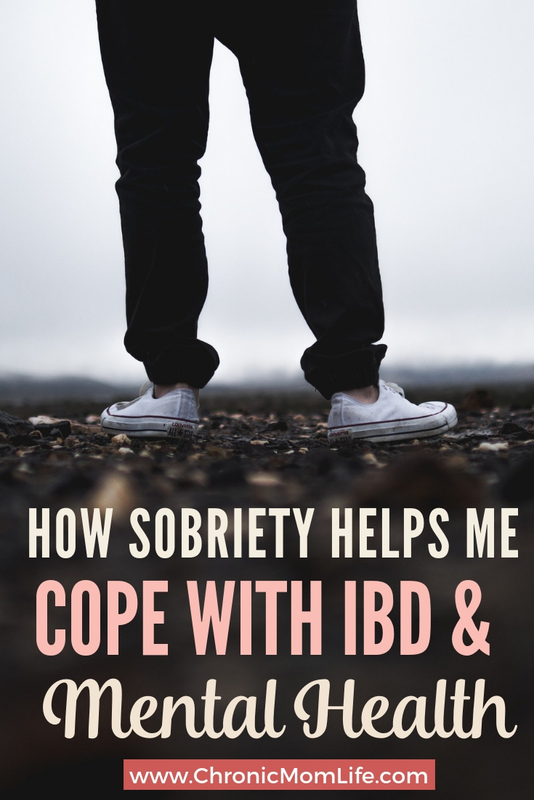 I’ve found a lot of similarities in coming to terms with IBD and my early days in sobriety. Being all in. In early sobriety a friend said that whatever I would do for a drink or a drug, I had to apply to recovery. That means to go to any lengths to stay sober. The same applies to IBD for me and staying on such a restrictive protocol. It’s hard as hell, but for the sake of my family and myself I’m willing to go to any lengths that I have to do keep this beast under control. 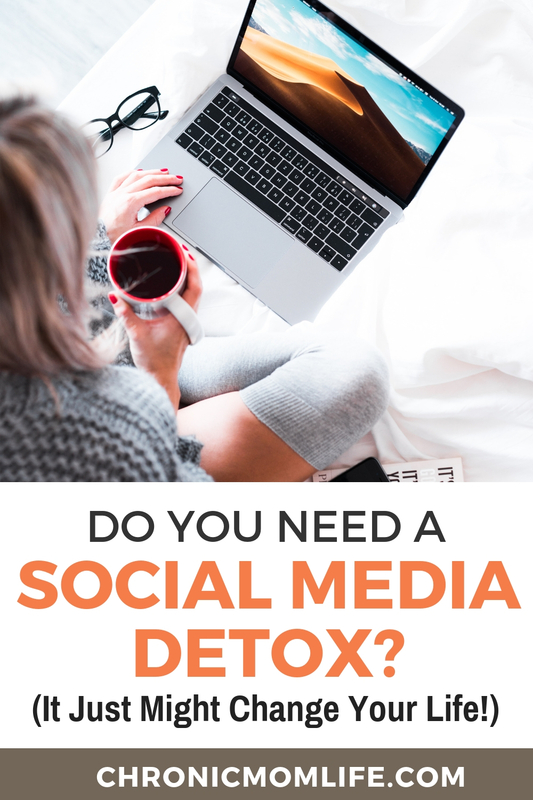 Early in recovery, I used to worry about how I was going to handle potential drinking situations…like what was I going to do New Years Eve or when I got married (yes, I really thought about this!) Now it’s simply a non issue. I don’t drink. It’s who I am. I have to learn and practice the very same principles with managing my IBD and it’s going to take some time..I still get down about what I can’t eat any more. Daily meditation and quiet time. I have devotions before I check social media or do anything else. It keeps my head straight. Yoga has become an important recovery modality. So much so that I just signed up for a 200 hour teacher training. I’m not entirely sure of what I’m going to do with it yet, but because of my ongoing mental health issues, I feel like I need to take things to a deeper level. Kind of like the rehab experience that I never had. Movement. Anxiety cripples me. And makes my illnesses worse. Sometimes it’s just THERE and won’t go away. Doing cardio (Leslie Sansone works great for me) is a great way to burn it off. Social connections. A lot of this takes place online now. And that’s okay for where I am today. I used to think that virtual connections didn’t really count but right now, they’re vital. I found a couple of good groups for IBD, dystonia and being a sober mom. There’s a big chronic illness and recovery community on Instagram. Knowing other people go through what I do is a relief. Helping someone else out is how I carry the message and get out of my own head. Doing something creative. I keep this very simple. I like stickers and use them in my planner and journal. I also like to cook (which is a good thing because I have to cook every. single. thing. from scratch now to stay compliant on the SCD. This is my first holiday season with IBD. It’s going to be different and I’m going to have to just ride it out. Going on close to 10 years of chronic illness and disability now has taught me a lot about pacing myself. If I need a down day or more, that’s okay. I still struggle with future tripping, fear and worry and continually have to remind myself to live one day at a time…and trust that the same God who watched over me in my alcoholic insanity still has my back today as I fight IBD and dystonia.